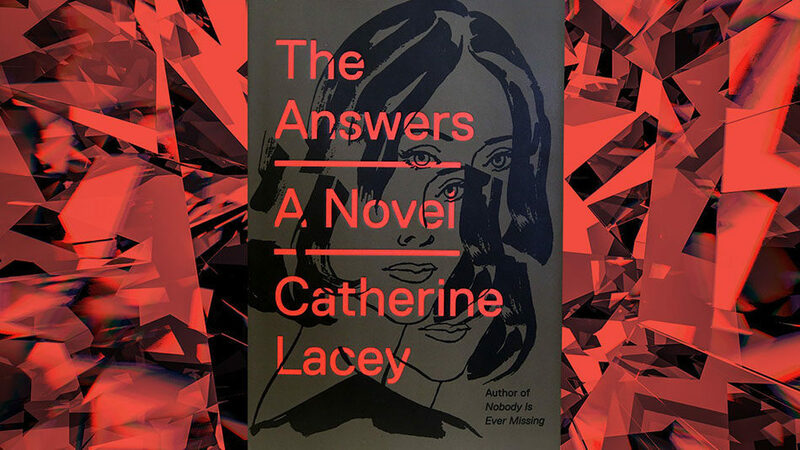 A tale woven with a messy upbringing, social awkwardness, and past trauma, Catherine Lacey’s The Answers is about Mary Parsons, a woman who takes part in a romantic social experiment for pay. By the novel’s end, the reader, as well as the protagonist, must confront the relationship between love, science, and reality. While these are interesting questions, the structure of Lacey’s novel gets in the reader’s way, making resolution and cohesion hard to come by. Lacey’s protagonist, Mary, is a thirty-year-old woman desperate for money. She works a mind-numbing office job. Her body is in constant pain, and her problems go undiagnosed by doctor after doctor. Her college roommate, Chandra, suggests she try Pneuma Adaptive Kinesthesia, or PAKing, a hugely expensive New Age treatment that’s a mix of meditation, massages, and spirituality. Mary doesn’t really know what happens during these sessions, since she seems to separate her mind from her body each time. But she knows they work, and she is desperate to keep going to them. The practitioner tells her she needs 30 sessions. Buried under credit card debt, Mary seeks a second job and answers an ad for an “income-generating experience” that she finds in a grocery store. After a series of bizarre interviews, Mary is offered the job. The ‘experience’ turns out to be a research study centered around one famous actor, Kurt Sky, where women will be playing various roles in his life: Intellectual Girlfriend, Angry Girlfriend, Maternal Girlfriend, and so on. The idea of the experiment is to see if compartmentalizing the various roles of a girlfriend will make for a better relationship. Mary’s role is Emotional Girlfriend, which means that she sits around and listens to Kurt while he talks. She is deemed perfect for this role because she has very little personality. Because she had a sheltered childhood with parents who wanted her to live off the grid, she knows very little about the world around her and has never seen a single movie, let alone heard of Kurt before. The Emotional Girlfriend role is considered the most demanding role by the Research Division in the Girlfriend Experiment, or GX, and thus pays the most. It’s unclear if she can feel such a high level of emotion, but if she could, Mary would be thrilled. The Answers is an example of a book whose plot has potential, but a structure that falls short. It starts off with Mary’s voice in the present, but then Lacey introduces the voices of some of the other girlfriends, and then throws in flashbacks at random times. The other girlfriends’ stories may be more interesting than Mary, but we only get to hear from them once or twice each, so we never find out. There’s a concentrated focus on Kurt’s personal assistant for a while, but that never pans out either. There’s also the bizarre series of PAKing treatments, which seem like they could be a whole book on their own. This book tries to accomplish too many things, and at 304 pages, there isn’t room for that. There are flashbacks to past trauma, to Mary escaping from her parents with an aunt, and to a previous boyfriend Mary isn’t sure she loved. In the present, Chandra disappears just when Mary needs her most, and Mary finds herself lost and alone despite the experiment. In short, it feels like this book has a lot of messy threads that never even come close to one another, let alone get wrapped up in a bow. Despite these failings, the book does broach interesting questions. Can you ever digest a relationship just to the various roles that the other person plays for you? How are love and science connected? Can emotions be manipulated, and if so, how do you know what’s real and what’s false? The Answers raises these questions, but it never quite manages to answer them.